Advanced metering infrastructure increases public utilities’ efficiency, data yield and monetary savings. Just 15 minutes pass between each electricity usage data transmission that College Park (Ga.) Power automatically receives from each of its electric meters. About two years ago, city vehicles had to drive near the meters to collect usage data, according to College Park Power Director Hugh Richardson. The change is due to the city’s new advanced metering infrastructure (AMI) system. AMI systems let public utilities automatically gather water, electricity and gas usage data more often than past technology allows. AMI also saves money on meter checking and helps utilities fix outages and leaks more quickly. An AMI system generally combines smart meters, a network of transmitters, or gateways and data management software to facilitate more frequent transmissions of usage data to utilities. This allows utilities to be alerted when outages or leaks occur and they can communicate usage amounts to customers through web portals, according to the American Public Power Association. Some AMI systems also allow service to be connected and disconnected remotely. This capability has proven to be a major advantage of College Park’s (pop: 14,601) new AMI system for water and electricity, whose installation was completed around February. As most of the city utilities’ residential customers reside in apartments, AMI foregoes the need to manually switch water and electricity service on or off during each move-in and move-out, according to Richardson. That capability, coupled with the frequent automatic data transmissions, has also reduced the city’s meter reading manpower. “We had four meter readers, now we have two. Years ago, we had eight,” Richardson says, who also notes that the city’s new water meters transmit data once per day. Although Hayward, Calif.’s (pop: 158,289) previous water metering system functioned properly, the city’s water meters averaged about 40 years old. Upgrading an aged system was the prime motivator for the city’s switch to AMI, per Hayward Utilities and Environmental Services Senior Management Analyst Corinne Ferreyra. “It’s a technology that is very much becoming increasingly popular,” she says. The city, which is about 10 percent complete with its installation process, expects to be finished by late 2018. New Bern, N.C.’s (pop: 30,700) electric utility participates in a peak shaving program with its service provider, according to City Engineer and Interim Director of Public Utilities Jordan Hughes. 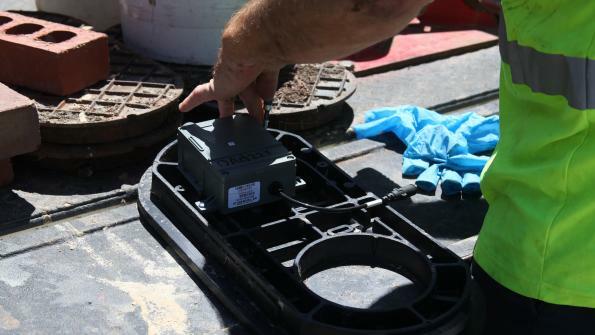 Hardships in monitoring the load shaving switches and a desire to further lower service costs for customers drove New Bern to upgrade its aged electricity and water metering system to AMI. The city is around 70 percent finished with its AMI installation, which it began in 2015. With two-way communication established between its system and load shaving switches, Hughes anticipates a power supply cost reduction of between $1 million and $1.5 million from the switch to AMI. The paths these cities took to get to a full-scale AMI installation involved departmental collaboration, strategic pilot programs and overcoming integration challenges. In determining their respective AMI system vendors, representatives from multiple departments within all three cities collaborated to determine their priorities, Richardson, Ferreyra and Hughes note. “In developing an RFP, we wanted to know exactly what questions to ask, and it took us some time to understand what was out there before we knew what questions we could ask,” Hughes explains of New Bern’s process. Because New Bern took between six and nine months to plan its RFP, it settled on its vendor, Eaton (which took over original vendor Cooper Industries), quickly after the RFP was issued. College Park selected General Electric as its vendor after conferring with another Georgia city that had implemented AMI. All three cities opted to implement pilot projects to get a better idea of how the AMI systems would install and function. Unlike College Park and New Bern (that had selected vendors), Hayward used a six-month, 90-meter pilot project to test the systems of three vendors it had chosen during its RFP, Ferreyra says. “[The field teams] didn’t want to just hold a meter in a conference room; they wanted to install it, test the software… they really wanted to test it out in the field,” she explains. Hayward ultimately chose Aclara as the vendor for the city’s AMI system in April 2016, she says. New Bern’s nine month long pilot program was started in late 2013, while College Park carried out its pilot program between fall 2015 and the end of that year. Both cities installed a small number of meters and gateways and tested their operations and integration with current systems and software. In carrying out these pilot projects, Hayward and College Park opted to not do much public outreach, Ferreyra and Richardson say. While Hayward set up a website and contact information specifically for the project, College Park chose to focus on making the installation quick and efficient. “I’ve been to several smart grid summits and learned some of the experience of other cities and they suggested that we just go ahead and replace [the systems],” Richardson says. All three cities conducted trainings to better acquaint city staff with the new AMI systems and educate any contractors on customer messaging in the field. While Hayward and College Park enlisted contractors to install the system, New Bern chose to conduct installation entirely with internal staff. Hughes says this decision enabled the field staff to communicate a more uniform message to customers during installs. In addition, the city broadcast video clips of the installation process over its internal TV station and notified local media about the project, Hughes says. By the conclusion of the pilot projects, all three cities had encountered issues that they began to fix. New Bern’s biggest issues involved integration between meters, gateways, data management servers and the city’s aged customer integration system (CIS), Hughes says. Hayward found difficulty in organizing and conveying accurate information about the city’s meter inventory and its systems’ nuances to the contractor. 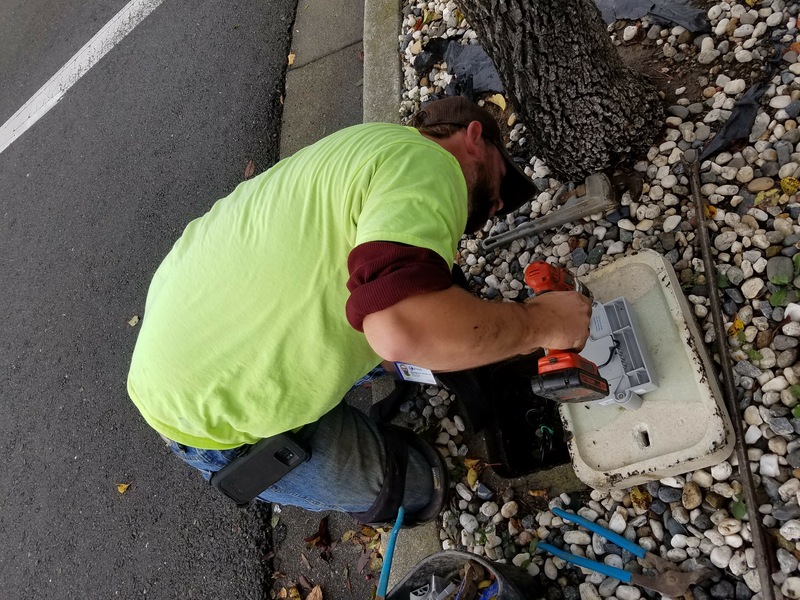 College Park found that its new water meters weren’t as easy to install as its electricity meters. While College Park had been intent on finishing its project quickly, issues with integrating the AMI system with the city’s billing system forced the installation to be delayed until the issues had been worked out. Hayward and New Bern took slower approaches for their full-scale rollouts. Hayward’s existing system was working fine as it was, which gave city officials no need to move quickly. New Bern adopted its strategy based on insight from other utilities. Consulting with other cities with AMI systems for advice proved to be a sweeping theme throughout all three cities’ AMI adoption processes and a major influence on their implementation strategies. Ferreyra says collaborating with other cities helped in Hayward’s research process for determining vendors, pricing and other information. Moving forward, all three cities plan on introducing additional capabilities to their AMI systems by the end of the year. One added component all three look forward to introducing are outage management systems, which will immediately alert utilities to outages or leaks and allow them to respond quicker than ever before. Another component all three plan to introduce are online customer portals. These online sites will use the AMI systems’ frequent transmission data to show customers exactly how much water and electricity they are using, to give them better senses of their bills and usage habits. Ferreyra says that one of the most common utility customer inquiries Hayward gets are requests to get more access to their usage data. She believes that introducing an online customer portal will best show customers the impact of AMI on their utility experience.